Congratulations! 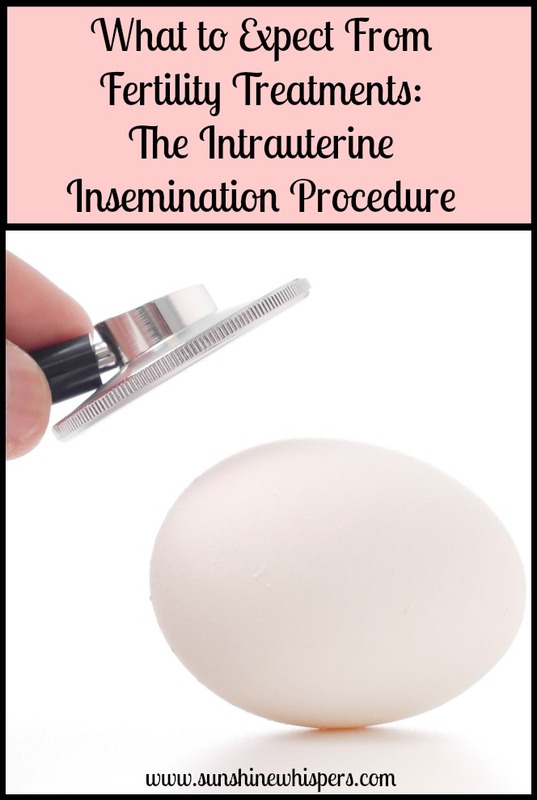 You have made it to the point where your Intrauterine Insemination (IUI) procedure has been scheduled! You just self-administered the fertility hormone trigger shot, and are now waiting the 1 to 2 days before the big day. What should you expect? Is it scary? Painful? Embarrassing? What happens after the IUI procedure? 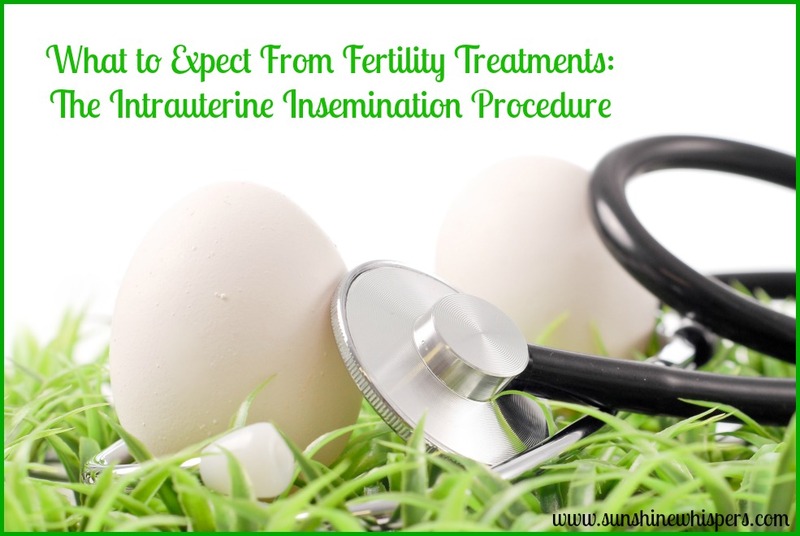 Read on for my experience with the IUI procedure and tips on what to expect from the fertility process. Our reproductive endocrinologist provided strict instructions regarding when to ‘try’ to get pregnant naturally and when to ‘completely abstain’ from trying naturally during this critical phase of the treatment process. The thought is that a) you want to have as many shots as you can to conceive if there are potentially multiple fertile eggs present, but b) ‘Dad’ needs to be able to produce and active ‘sample’ on the big day, so you don’t want to wear him out (am I being euphemistic enough?). Also, as with the monitoring appointments, the IUI procedure is scheduled based on what your body is doing. Other than Christmas, there are no ‘black-out’ dates. I think that is ironic, since the IUI which led to my successful pregnancy took place on Black Friday. You and the ‘Dad’ will be instructed to arrive at the fertility clinic early in the morning to check in. ‘Dad’ then gets his moment to shine. Yep, you guessed it… he will provide a sample. It is actually generally fine to do all the work at home and then deliver the goods in a container provided by the clinic. However, the doctors do stress that it is better to have a shorter time period between when the sperm sample is provided to when the IUI procedure takes place. We didn’t want to take any chances. My husband gave at the office. Once he performed to standard, the sample was taken by the andrologist and ‘washed.’ Basically, the sperm from the sample are separated from everything else and concentrated. This process has proven to be significantly more effective in positive pregnancy outcomes. The washed and concentrated sperm sample is then packaged into the IUI syringe and is ready to go! The sperm washing process does take a little time. So, you have to wait. Fortunately for us, there was a breakfast place at a nearby strip mall. Over bagels and a strawberry smoothie, we nervously waited and prayed… and then waited and prayed some more. Approximately 1 1/2 hours after dropping off the sperm sample we returned to the clinic. This time it was my turn. The entire IUI procedure from this point on takes less than 15 minutes. That includes getting undressed and dressed after the procedure. When the nurse called me back, I changed into a hospital gown, hopped up on the exam table, and stuck my feet in the stirrups– just like an annual pap smear. I am happy to report though, that the IUI is way less painful than any pap smear I have ever had. The doctor (a reproductive endocrinologist) and nurse come in and ask you a few questions. Namely– what is your name, birthday, etc.. and does the information on the IUI syringe match your personal identifying information? As an aside, your reproductive endocrinologist is likely not the person who will perform your procedure. It all depends on which doctor is on the schedule. At that point you lay back and the nurse inserts the speculum (ok, that part still stinks… just like with the pap). However, the IUI needle/syringe is not a big deal at all. It is about as thin as a piece of spaghetti. The endocrinologist has looked at your ultrasounds, knows where your cervix is, and is an expert at ensuring the syringe with all the sperm is positioned so that the sperm are pointed directly at your fertile eggs. In other words, the doctor is giving your natural fertility cycle a huge assist. The IUI needle is inserted through your cervix to your ovaries and bam!– the trigger is pulled and all that sperm gets to fight for the privilege of turning Mama’s egg into a zygote. The entire procedure takes about 1 minute. Quick, right? Afterwards, the doctor and nurse wish you luck and set an alarm clock for about 5-7 minutes. During this time you are instructed to lay on your back and just chill out. When the alarm goes off, you get dressed and exit via the insurance/payment desk. Once the IUI is complete, you are in limbo until you either a) get your period or b) go in for your blood test and ultrasound to confirm a pregnancy. However, the endocrinologist will leave nothing to chance. You will typically be prescribed a daily dose of progesterone, in the form of a vaginal suppository (yeah, that was really pleasant, right?). Progesterone helps to ensure that if you get pregnant, you stay pregnant. Many women with PCOS suffer from chemical pregnancies and other forms of early miscarriage. Many times those miscarriages can be prevented with the help of progesterone. 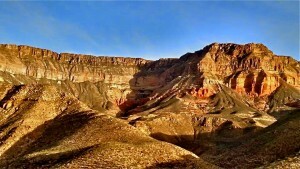 So, you grin and bear it… and eventually write a tell-all blog post about the experience. Ha! Your pregnancy blood test and ultrasound will be scheduled very soon after the IUI procedure. Granted, there is no point in taking a pregnancy test before it is reasonable to expect fertilization has occurred. However, once that threshold has been met, you will get tested. The fertility clinic will be able to not only tell you if you are pregnant, but will also be able to gauge your hormone levels and determine if a new pregnancy seems to be headed for a healthy pregnancy or an early miscarriage. There are commercially-available pregnancy tests that can give you a pregnancy spoiler alert if you so desire. They cannot tell you if your pregnancy looks viable though. If you are pregnant, the clinic will continue to monitor your hormone levels and the growth of the zygote until you are out of the danger zone and can transfer to the care of your gynecologist. One last note: The success rate of IUI is about 19% for women age 30 and younger. For women over age 41, the success rate is less than 9%. I provide these statistic only to help you manage expectations. Fertility treatments are pretty much considered miracle medical procedures as far as I am concerned. However, they are not absolute. Pray. Pray like the dickens. Pray first. Pray last. Pray without ceasing. Infertility may be part of God’s plan for your life. However, it is just as likely that God’s plan includes a little miracle as well. Anyhow, if you are facing infertility and are considering treatment from a fertility clinic, I want you to know you are not alone. Many, many women receive treatment from a reproductive endocrinologist. The fertility treatment process can seem very daunting– emotionally, physically, spiritually, and financially. However, as I catch my now 2 1/2 year old daughter giggle with delight when I scoop her up for a bear hug, I can tell you that without a doubt, it is worth it! Welcome to Thoughtful Thursdays! I am so glad you decided to stop by, check us out, and leave a link to one of your thoughtful posts. There were so many thought-provoking posts this week and it has been hard for me to choose favorites. However, these posts really resonated with me and I hope you like them too! 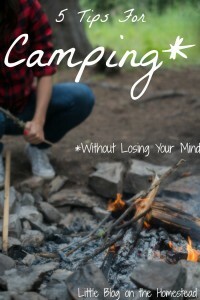 5 Tips for Camping from Little Blog on the Homestead- We are taking Sweet Pea camping for the first time at the end of May. There are some fantastic tips in this post! Check out Mom’s Morning Coffee and her great post on why It’s Not About Me! I have needed that reminder a lot over the past few weeks. This is a beautiful post in the Soul Sister Series– The Empty Woman. I love the way Flower For You 2 writes and this post really encouraged me! 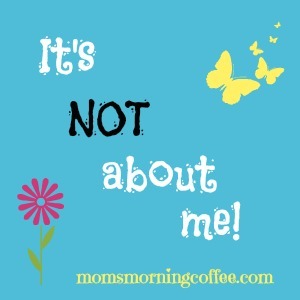 Thanks for hosting AND for featuring my “It’s Not About Me” article. 🙂 I love that I can always find “food for my soul” at your Thoughtful Thursday link up. I loved your post so much! Thanks for linking up so I could be introduced to your blog! Sara, Your blog is a world of encouragement. Thank you for being so frank and yet so encouraging. Thank you so much for your informative post. My daughter and son-in-law are starting – the trying to get pregnant routine and so far have not had much success so this might be in their future. It was good to know the procedure. Thanks for sharing this very private process. I wish you the best in your attempts to have a blessed baby. Oh, thank you so much! Yeah, it seems that as informative as the websites for the clinics are, they are still official websites. I figured some women might want more info about what to expect. I am glad you found the post helpful! Thank you for hosting! This was an interesting read and I’m sure it will help others who are interested in undergoing this procedure. Thanks so much! I know that it can be very daunting to start a process like this. Sometimes, every encouraging story is enough to keep you going. Thanks for linking up to the linky party!